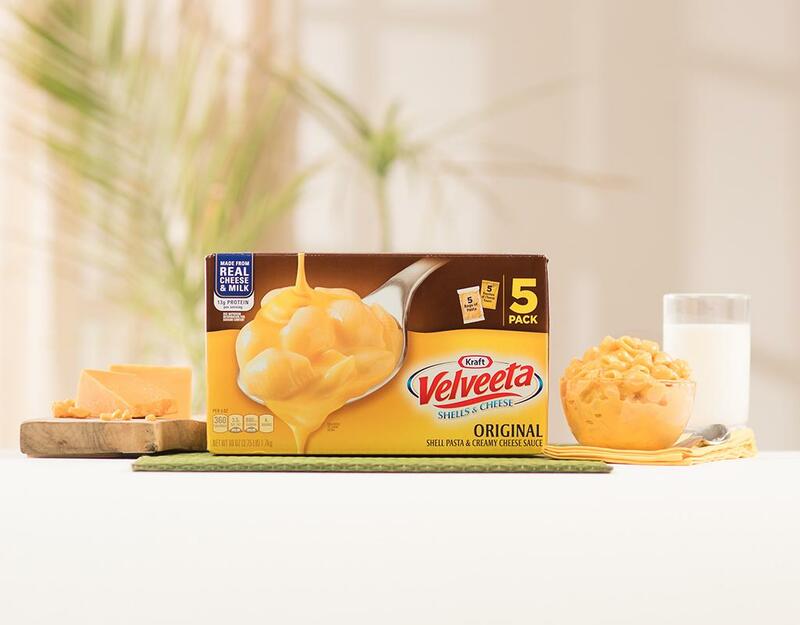 Eat liquid gold. 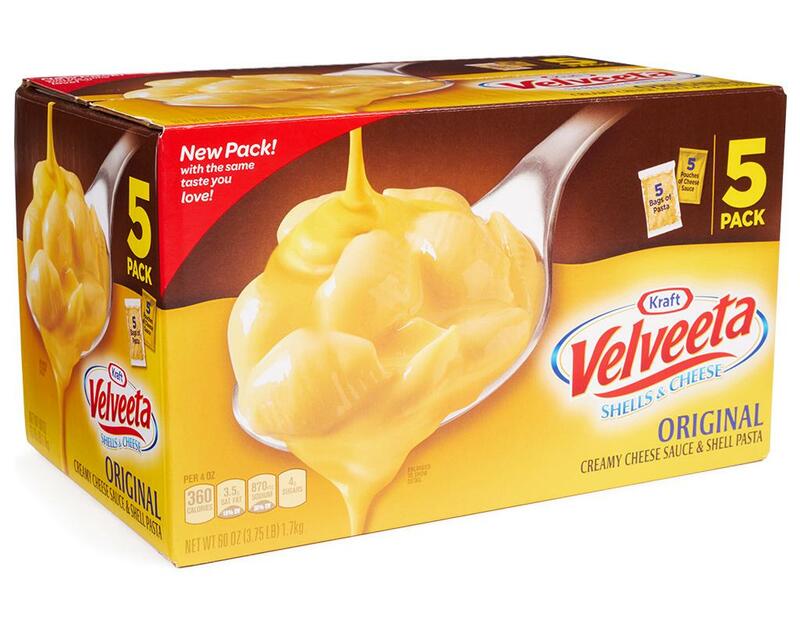 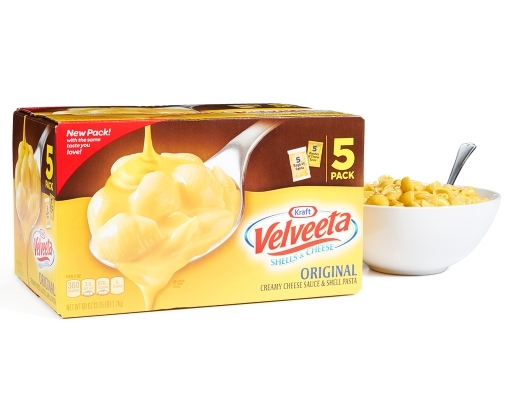 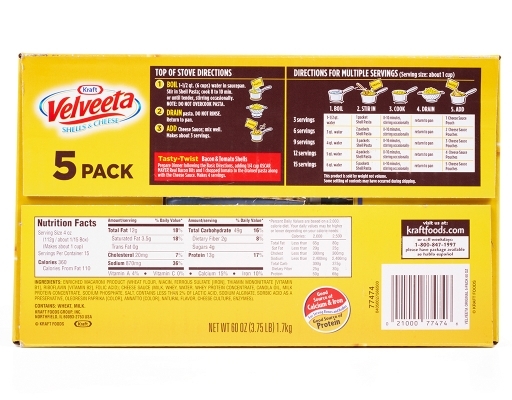 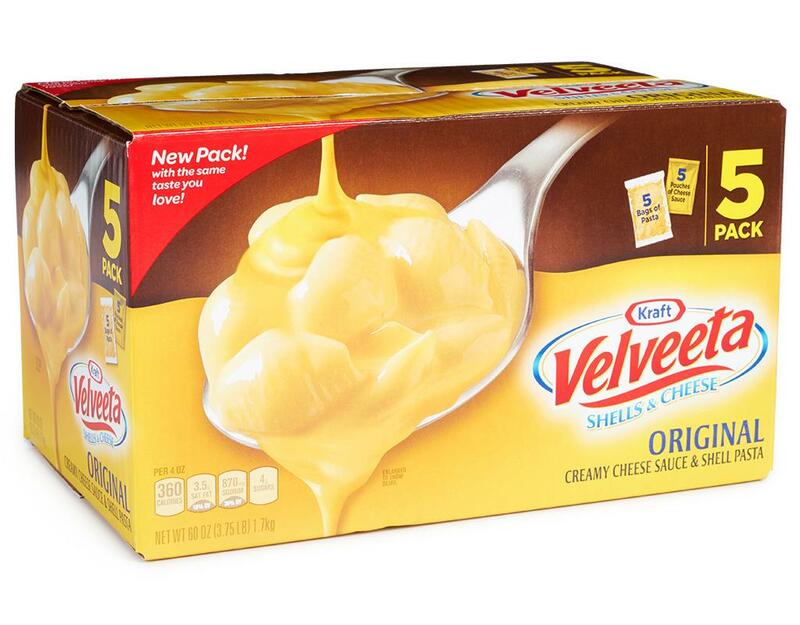 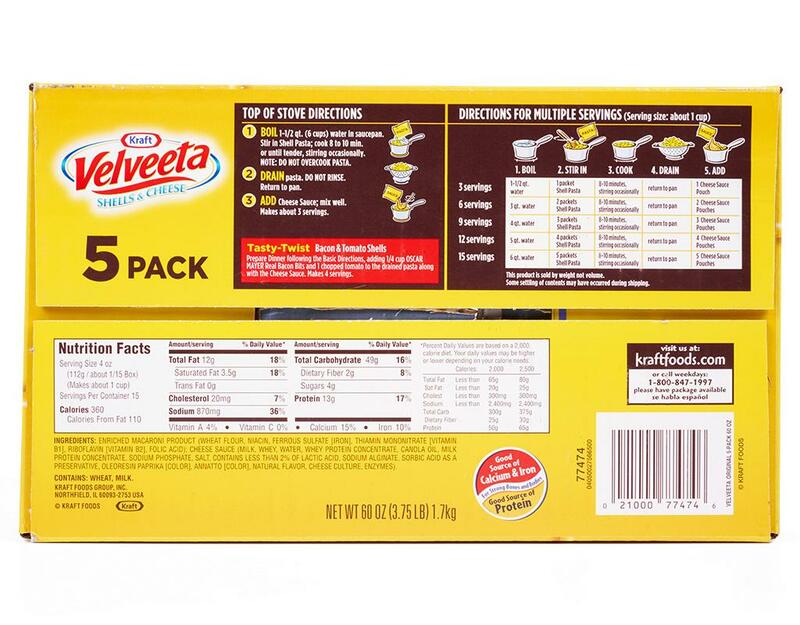 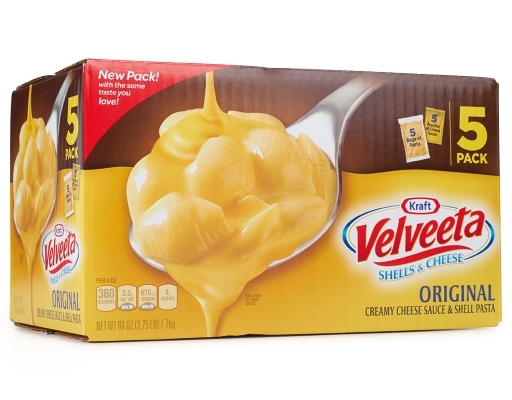 Kraft Original Velveeta Shells and Cheese is a tasty meal appreciated by kids of all ages. 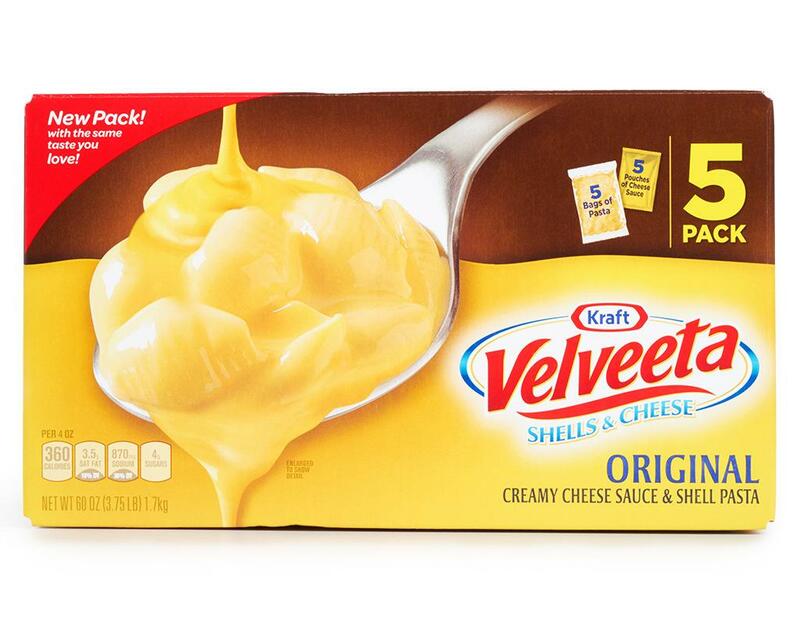 You'll enjoy the creamy goodness of the delicious cheese sauce covering the shell pasta. 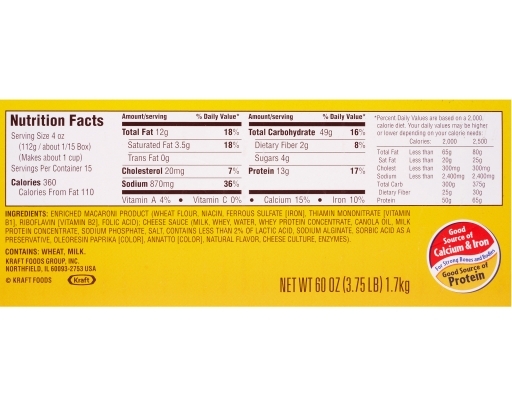 It is also an excellent source of calcium and protein and contains vitamins A, B1 and B2. Kraft Shells and Cheese is easy to make any time. 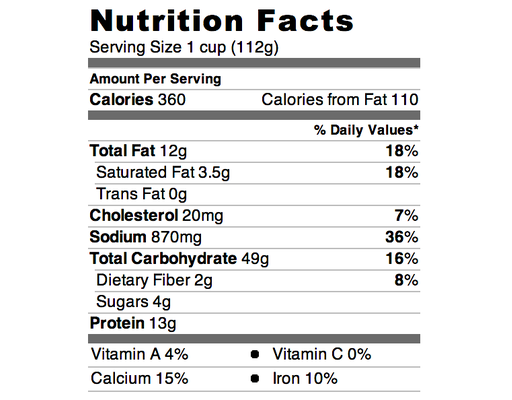 You can add it to dinner as a side dish, make it as a meal of its own or use it as a healthy, filling snack. 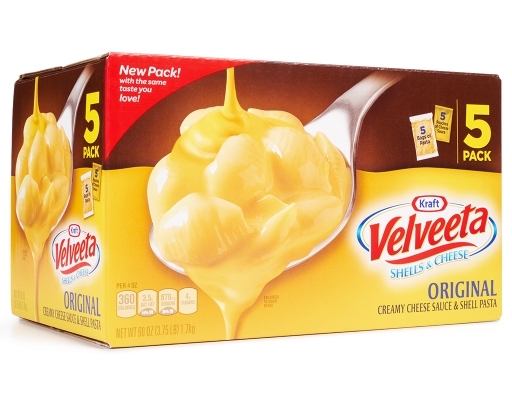 You can fix it by following the directions or by adding other flavors to make it unique. For instance, you may want to sneak in a few veggies with your kids' favorite dish to make it even healthier. 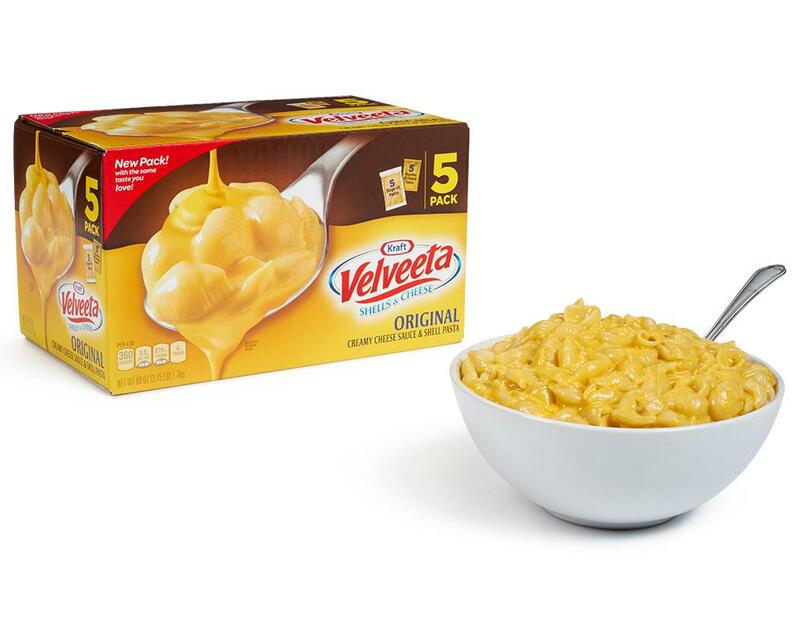 This is a versatile dish that makes busy weeknight dinners delicious and nutritious for the entire family. 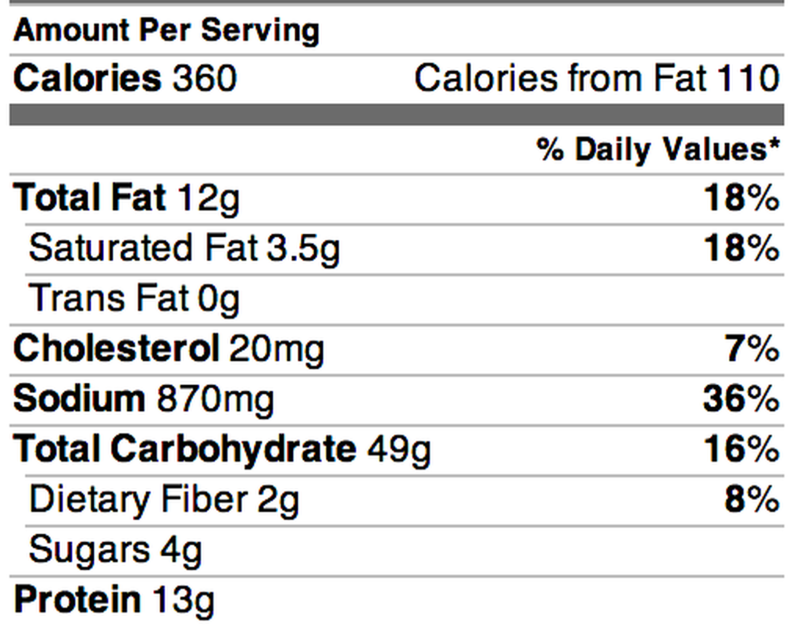 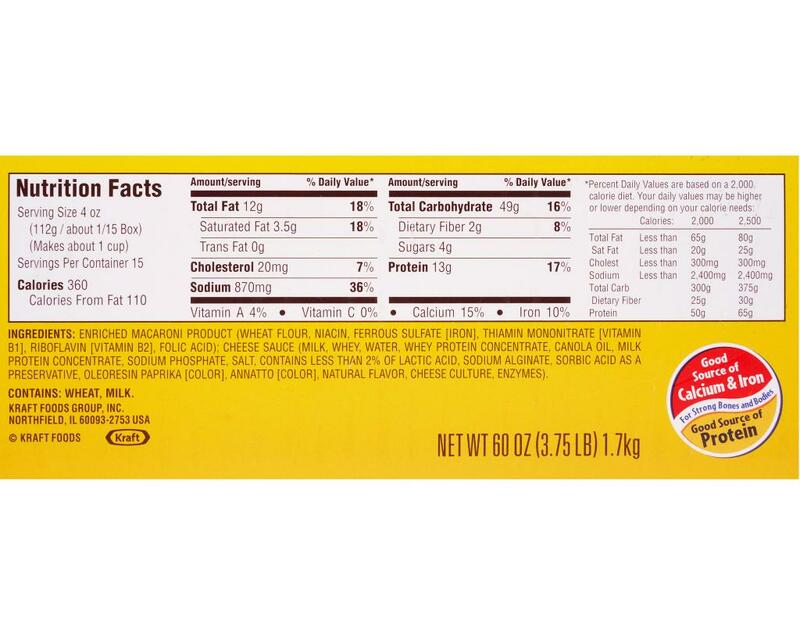 Enriched Macaroni Product (Wheat Flour, Niacin, Ferrous Sulfate [Iron], Thiamin Mononitrate [Vitamin B1], Riboflavin [Vitamin B2], Folic Acid); Cheese Sauce (Milk, Whey, Water, Canola Oil, Milk Protein Concentrate, Sodium Phosphate, Salt, Contains Less Than 2% Of Sodium Alginate, Lactic Acid, Oleoresin Paprika [Color], Natural Flavor, Cheese Culture, Enzymes, Annatto [Color], Sorbic Acid As A Preservative).